We learned recently that a jewel that has appeared at various recent royal functions will soon be sold at auction. 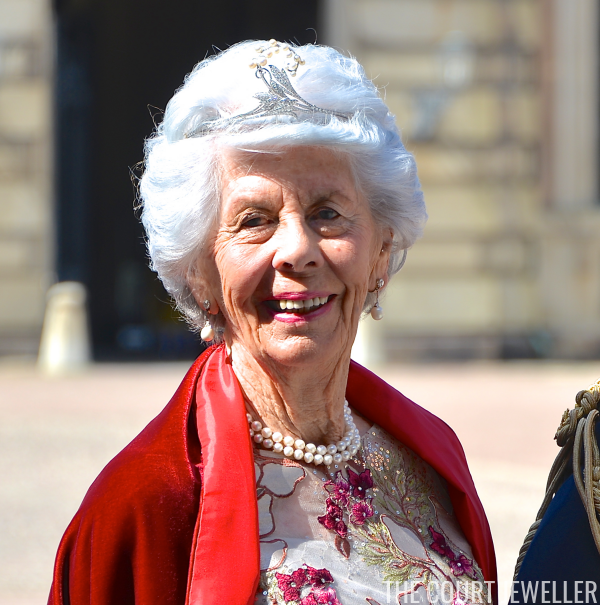 It's not a particularly surprising sale: the piece is the diamond and pearl aigrette that belonged to the late Countess Gunnila Bernadotte, widow of Count Carl Johan Bernadotte. Countess Gunnila died in September. Bukowski's will auction the aigrette, which does not have any previous royal provenance. It comes from Gunnila's own family, a line of Swedish aristocrats. The piece's association with royalty comes from Gunnila herself, who married the son of King Gustaf VI Adolf of Sweden and his first wife, Margaret of Connaught. Gunnila's husband, Count Carl Johan, was the uncle to two sovereigns, King Carl XVI Gustaf of Sweden and Queen Margrethe II of Denmark. Because of her husband's royal links, Gunnila often attended royal functions, and she generally wore this tiara. A press release from the auction house describes the aigrette as "unusual and very personal in its design." It also provides a description of the piece's materials and form: "platinum, diamonds, and cultured pearls, forming an elegant lily of the valley." The piece reportedly bears French hallmarks. As is the case with many aigrettes, the piece can be taken apart, and the central lily of the valley motif can be worn as a brooch. 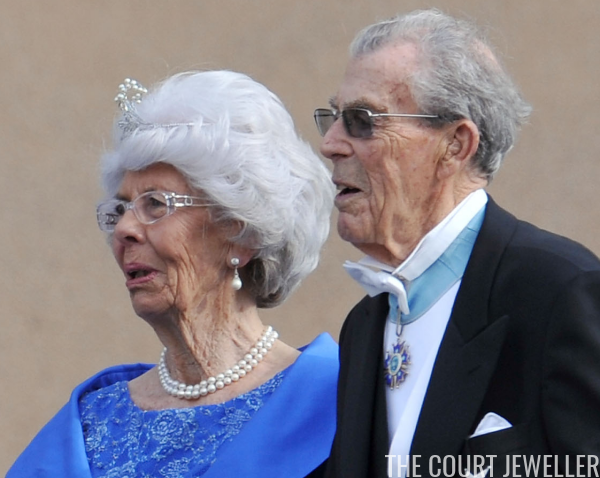 Pieces of jewelry with royal connections often command much higher prices at auction, so it's no surprise that Bukowski's is heavily advertising this aigrette's royal associations. 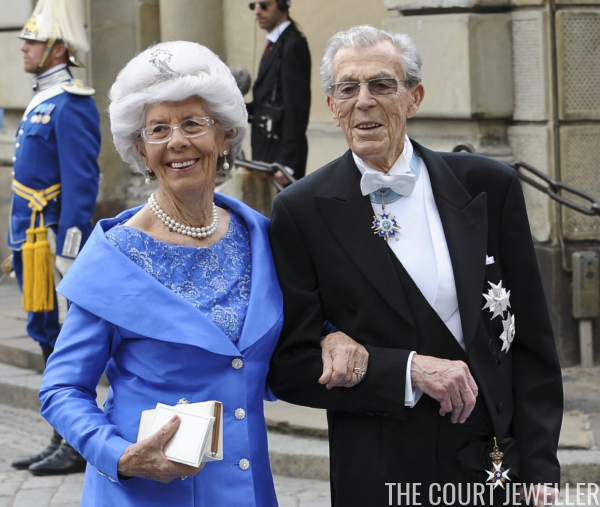 The tiara will be on display to the public from December 6-12 in Stockholm, and it will be auctioned on December 13.